Bachelor of Medicine and Surgery from the Universidad de Barcelona. Doctor of Medicine and Surgery from the Universidad de Barcelona. Fellow in Electrophysiology, University of Maastricht. Basic research: Study of Atrial Fibrillation in an animal model. 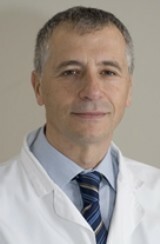 Member of the 'Arrítmies i Estimulació Cardiaca' Research Team, IDIBAPS. If you would like to arrange a consultation with Dr. Mont in order for him to evaluate your case please contact us us at info@medabcn.com or fill the form.